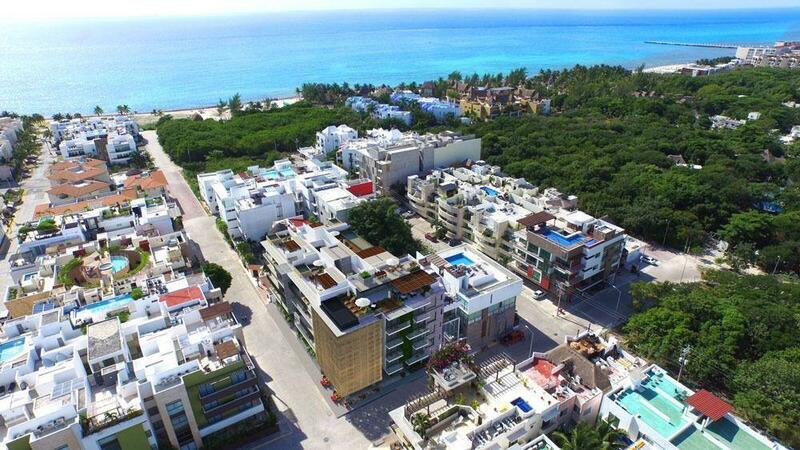 a project where 3 buildings live together, including 23 residences (from 132 to 323 square-meters, each one with its own private pool), within a village inside the tropical jungle of Tulum. It has its own Natural Reservoire, a Gallery for Contemporary Art, a Library, an hydrotherapy pool in the jungle, and a Residency for Artists. jacuzzi and a botanical garden.